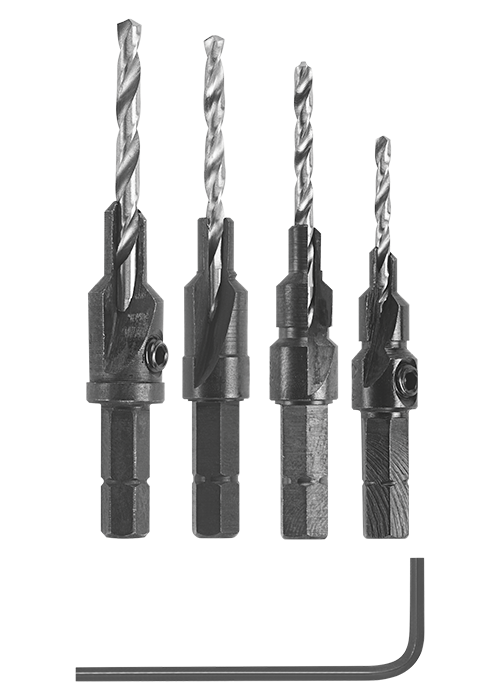 Bosch Hex Shank Screw Pilot Bits drill precise, clean pilot holes in wood, plastic and composite materials. Used for fast countersinking and counterboring in one operation, these pilot bits drill countersink pilot holes for flush screws. The drill bits are replaceable. The screw pilot bits provide adjustable countersink depth with an Allen® wrench. The hex shanks are designed for reduced slippage, and the shanks fit corded and cordless drills. Ideal for drill press use.